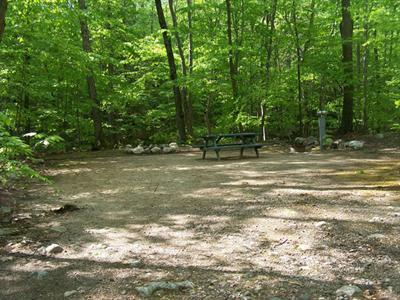 Berentsen's Campground in Sullivan County is the best camping in the Catskills Region of New York! 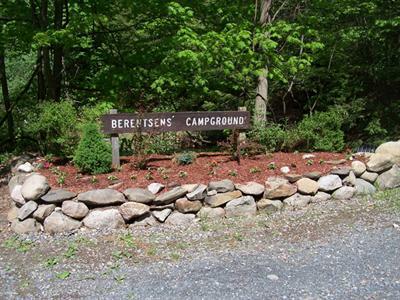 Nestled among beautiful scenery, rolling hills, and the Hudson River Valley, Berentsen's Campground is a family-oriented campground located in the beautiful Catskills Region of New York. 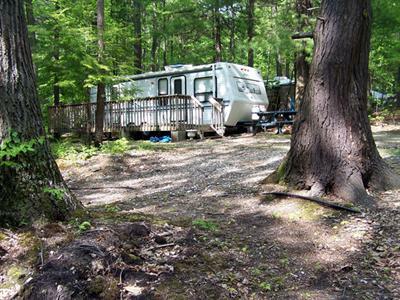 Whether you are looking for a relaxing place to enjoy a family vacation, or somewhere to bring the RV club, the campground is the perfect choice while camping in Sullivan County. You'll find all of the amenities and activities you are looking for, as well as close proximity to area attractions and the Catskills! Berentsen's Campground offers daily, weekly, and seasonal/monthly rates, so you can enjoy a long term stay or an overnight stop. Bring the family or group and enjoy the best in Catskills camping! Your hosts look forward to your stay! Berentsen's Campground is a large, spacious campground, offering activities for the whole family. Enjoy a refreshing dip in the swimming pool (open the end of June), have a picnic or bbq, or bring various equipment for outdoor games. 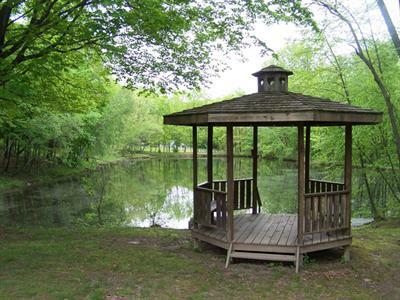 Nature enthusiasts can enjoy the beautiful pond or the on-site stream. This campground is the place to enjoy the great outdoors! Berentsen's Campground is also near even more outdoor recreation, including fishing, hiking, horseback riding, golfing, and more. Camping in Sullivan County has much to offer the visitor. No matter what your likes and interests are, you can enjoy a new activity every weekend and never exhaust the possibilities. Enjoy canoeing, kayaking, fishing, and rafting on the Delaware River just a short drive away, venture into the Catskill Forest Reserve, or enjoy a championship golf course. Sullivan County has something for everyone. However active or relaxed you like to be, there are activities for dare devils, history buffs, shoppers, food connoisseurs, and so much more. There are five covered bridges in the county, as well as three stone-arch bridges, and the oldest standing example of a John Roebling bridge. Spend an evening or afternoon at the Mighty M Gaming at Monticello Raceway, visit the Orange County Fair or Speedway, or catch a concert at the Bethel Woods Center for the Arts. All of this and more makes traveling in Sullivan County and Catskills camping all the more fun. And it's all within minutes of the campground. Come and enjoy the great outdoors on your Catskills camping trip. All of the campground's sites are spacious and very private, and all guests have access to the wonderful facilities and activities. There is always a lot to see and do around the campground. Experience camping in Sullivan County and discover the joys of camping. Your Berentsen's Campground hosts hope to see you soon!